Ever since my Master studies in history back in Sweden and all through my Ph.D. studies, I have been fond of the period from the French Revolution onwards, especially the 19th century and the Risorgimento. My focus was more on the image of Giuseppe Garibaldi in Europe in the 19th century, rather than on Napoleon, but, of course, the post-Revolutionary era in Modern history has always fascinated me. So imagine the fun to be able to so to speak walk in the footsteps of Napoleon at a winery in Le Marche. 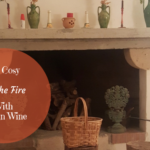 The winery I am talking about is Boccadigabbia, which is situated by the Adriatic Sea, just outside Civitanova, and my visit there became the optimal combination of wine and history. Emperor Napoleon Bonaparte founded the Kingdom of Italy in 1805 and became thus King of Italy at the same time as he nominated his stepson Eugène de Beauharnais to viceroy. The administration of Italy became straight away quite French-inspired and the different states were divided into departments and districts. Further on, in 1808, the Papal States were dissolved leading to the inclusion of Le Marche as well as other central Italian regions in the Kingdom of Italy. In 1810, the viceroy Eugène de Beauharnais furthermore received around 2,000 farm estates and some hundred palaces in the Marche region as an appanage. Beauharnais was allowed to retain these properties also after the abdication of Napoleon and the following Congress in Vienna in 1815. The point I am trying to arrive at here is that the farm Boccadigabbia was one of the so-called, Bonaparte possessions in Le Marche that were then transferred to Eugène de Beauharnais. 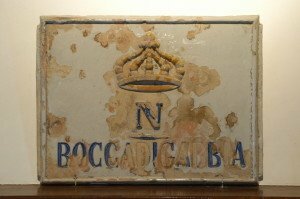 The Boccadigabbia farm continued to belong to members of the Bonaparte family until 1956 when the Alessandri family bought it directly from the last pretender to the French Imperial Crown, namely Prince Luigi Napoleon Bonaparte. 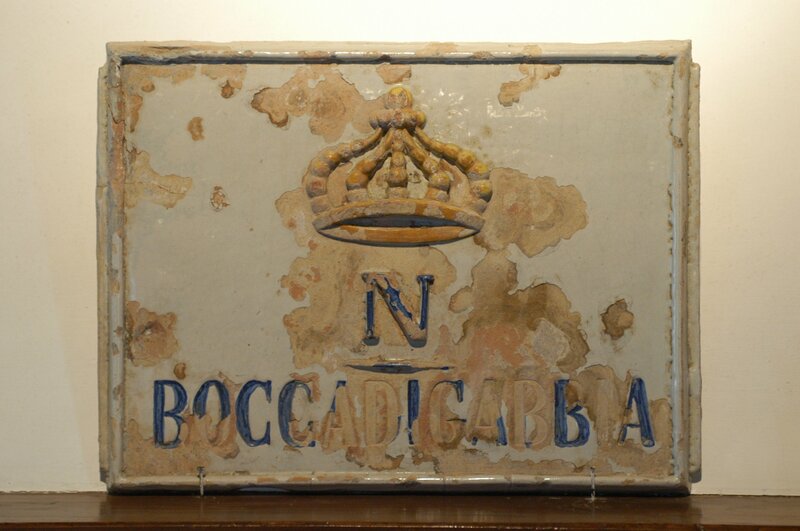 As you can see above, you can still find an old ceramic tile in the farmhouse bearing the name of Boccadigabbia with the Napoleonic coat of arms above. The Alessandri family bought Boccadigabbia directly from the last pretender to the French Imperial Crown, Prince Luigi Napoleon Bonaparte. Today the Alessandri family continues the tradition of cultivating French grape varietals such as Cabernet Sauvignon, Merlot and Pinot Noir as well as Sauvignon, Chardonnay and Pinot Grigio in their vineyards. In 1996, the family also purchased the wine estate Villamagna, which is situated close to Macerata. 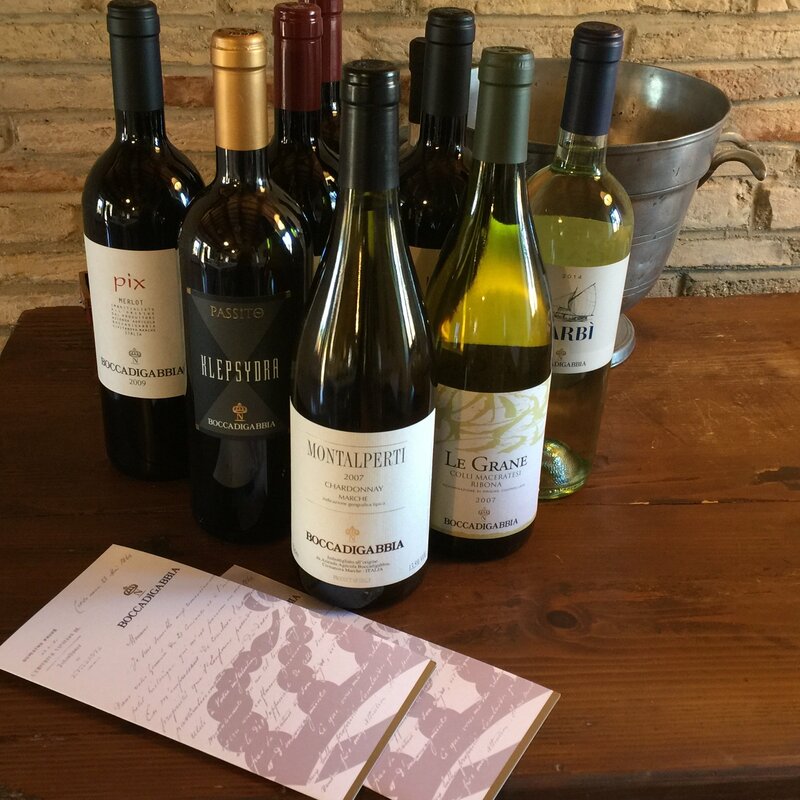 At this estate, they cultivate native grape varietals such as Montepulciano, Maceratino (Ribona), Sangiovese, Malvasia di Candia, and Verdicchio. The French grape varieties that originally were planted during the era of Napoleon III back in the 19th century went lost in the 1960s in favor of a more traditional wine production. In the 1980s, the family decided to return to the original ideas from the Napoleonic era and replant grape varieties such as Cabernet Sauvignon, Merlot, and Pinot Noir at the estate. Today they thus produce a wide range of wines of very high quality at the Boccadigabbia and Villamagna estates. 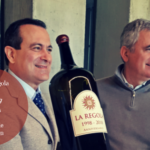 Elvidio Alessandri, who is the present owner, and his son Lorenzo are now working side by side to bring the winery back to its old glory. 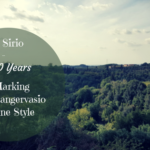 They have suffered some setbacks during the last years, due, on the one hand, to the fact that the Verdicchio di Jesi and Matelica wines have been taking over the market for some decade and, on the other hand, due to a sad tragedy for one of their employees that happened in the late 2000s. However, they are now trying to get the winery back on track and finding a new place in the spotlight for their fabulous French-inspired wines, as well as the wines produced from more native grape varieties. About a month ago, I took the train to Ancona to visit Boccadigabbia winery and attend a vertical wine tasting of their top wine Akronte. Lorenzo Alessandri came to pick up me, Marina Betto, and Riccardo Viscardi at the train station in Ancona. Thereafter, we headed directly for Civitanova and a dinner at the fish restaurant Ardesia in Civitanova, just by the sea front. Le Marche is one of my favorite regions and I like to go there as often as I can. Therefore, I was very happy about this mini-tour to a winery. Actually, I realized I had already been to the restaurant in question too, just that it used to be a cocktail bar with tables outside and a view of the sea. Quite a cool coincidence, eh! 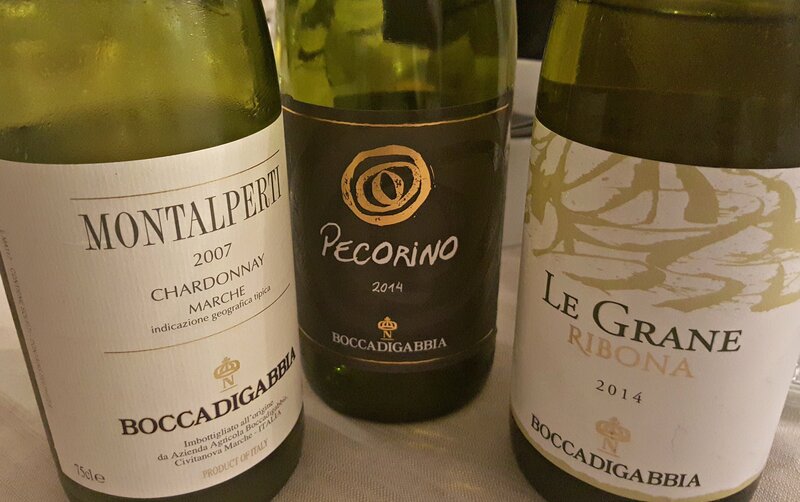 The Boccadigabbia Winery has historically always produced French-inspired wines. During the dinner, Elvidio, Lorenzo, and Agnese entertained us with stories about their family, the winery, as well as Civitanova and Le Marche in general. We also had the opportunity to taste several of their wines paired with the yummy appetizers and other fish dishes, such as polenta and monkfish. Regarding their white wines, we tasted Le Grane Colli Maceratesi Ribona DOC 2014. This is a 100% Ribona. It is a fresh and well-structured wine with a straw yellow hue and notes of citrus fruits and other ripe fruits. Thereafter, we had their Pecorino Falerio DOC 2014 which is a straw yellow wine with fruity as well as more smoky influences, and almonds. It pairs well with seafood, but also with veal, chicken, and other white meat dishes. The next white wine was even better, namely Montalperti Chardonnay Marche 2007, which is a 100% Chardonnay wine. This is a lovely Chardonnay from Boccadigabbia which has great similarities with the white wines from Bourgogne. It is a smooth and full-bodied wine with aromas of ripe fruit such as pear and plum, and with a rich and warm taste. Later on, with the second fish courses, we also tasted some of their red wines. These were their Rosso Piceno DOC which is a blend of 50% Montepulciano and 50% Sangiovese, the Saltapicchio Sangiovese Marche IGT (100% Sangiovese) and Pix Merlot 2010. They are all interesting red wines with a distinct character of their own. The next day, we were ready to take on the vertical wine tasting of Akronte. We arrived at Boccadigabbia around 9.30 and started out with a tour of the winery together with Elvidio and his in-house oenologist, Francesco Pennesi, who explained their wine making procedures more in detail. Of course, also, Elvidio’s son Lorenzo and the external oenologist Emiliano Falsini contributed with interesting information about their wine making. 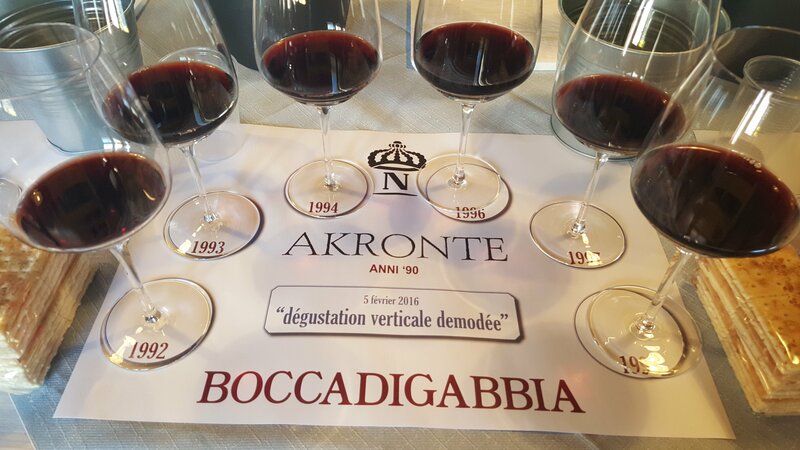 Afterward, we directly threw ourselves into the main task of the day, namely the vertical tasting of Akronte. This is a 100% Cabernet Sauvignon wine. It has a long maturation on the grape skins followed by aging for 18-20 months in French barriques and finally in bottle for several months. As a result, it is a full-bodied and well-structured wine with a long aging potential. It is a fresh wine with, in general, notes of fruit, flowers, spices, and under vegetation. The first battery of vintages we tasted going from 1992 to 1998 clearly delineated the long aging potential of the wines. The wines were indeed still at a top level after more than 20 years presenting smooth tannins, considerable freshness, and persistence. The second battery stretched from 1998 to 2008 presenting younger wines with a compelling freshness. The last vintage 2010 that we tasted presented signs of a considerable change, in fact, Boccadigabbia made some noteworthy changes in 2010 deciding to take on Emiliano Falsini as an external oenologist and consultant working together with Francesco Pennesi. What is then so new about the 2010 vintage? Well, for one thing, it seems like a different kind of Cabernet Sauvignon from Boccadigabbia, even though not taking away importance from the earlier decades. The 2010 is a complex wine with a nice freshness, with notes of flowers, fruits (a bit different fruity character than in the past), grass, and minerality. Overall, it is a wine with a great potential and quite similar to the Cabernet Sauvignon wines from Bordeaux. The visit to the Boccadigabbia winery was very interesting both from a historical as well as a wine point of view. 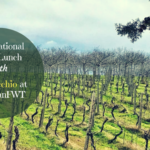 However, if we focus more on the winery itself and their wines, we learned that they are now relaunching themselves after some years in the shadow and have thus actively tried to make some changes to bring forth a more innovative wine. It was interesting to listen, both to Elvidio and Lorenzo as well as to the oenologists Francesco Pennesi and Emiliano Falsini, and their ideas and processes for how to pull through this change in production mentality, especially regarding the Akronte wine. Boccadigabbia is definitely a winery on the rise again and if you have the possibility I can highly recommend to pay them a visit and try their wines. So glad I read this with a class of cab in my hand. I have a new wine list all made up thanks to you. What a wonderful history lesson about Boccadigabbia, Katarina. I am always amazed at the passion and love of the land and the wine making process. I imagine this passion and love is tasted in their wines. Thanks for sharing another lovely region and winery. Thanks Beverley, for your always supportive comments. This winery is very interesting, not only due to its history but also because of the family’s own history and experiences. Katrina – your picture of the Boccadigabbia winery is simply stunning. Thank you for the lesson – BTW, did you take classes in photography, or do you have someone shoot for your blog? They are art. What a fascinating history of Boccadigabbia and Napoleon. I’m very impressed with the continuation and devotion to preserving the wines of this area. Your descriptions are so inviting that I wish I could be there to taste these selections. I just love how you weave the history through this–not just of the winery but of the coutry itself! Oh, I would SO love to sample the simply marvelous sounding vintages of Akronte! It’s so nice to be reading your posts again. I enjoyed your description and photos of Boccadigabbia. Learning about the history is great. I’d love to visit and sample the wine there. Thanks Beth, and it’s nice to be back among you and get your feedback here. And, indeed, it is a very nice winery. Wow, love this. Thank you for allowing me to learn and experience through your words Jane. I might become a wine drinker after all. Wonderfully inviting, informative. I think it is your best yet. Maybe because of the added passion of combining your love of history & wine. Beautifully done. Thanks Roslyn, yes, it might be because I could dig into a bit of 19th century history too, which was my specialization as an academic etc. 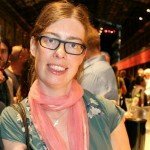 What an awesome and interesting post as I do not know much about winerys, but this one sounds amazing! Beautiful pictures and very cool learning about the history 🙂 Thanks for the awesome share! Thanks Joan, for the nice comment. Happy you enjoyed the article. The more I read, the more I am fascinated by you and your travels. You are lucky indeed to have the job you have and the ability to travel to these places.. fits so well in your mold of translation and wine. Perfect! I’m a history nut, too. Fascinating read and I love the first photo of the winery. Gorgeous! Thanks Jackie, this was a fun article to write, As a former historian, I got to dig a bit deeper with the history side too. I have never met any one who shared the history of any winery. Thanks for educating us. Great post, Katarina. I do not drink wine often but wine and a winery experience sound like fun. I bet the wines were lovely. Thanks for sharing.